That is Latin for “I came, I saw, I conquered”. 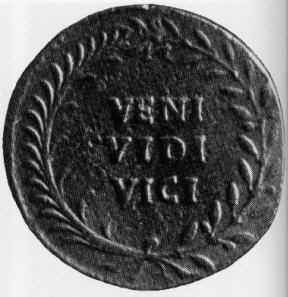 “invincible” and “convince” come from the Latin verb vici/vinco. And convince means to conquer-with. Those are Latin words that are on coins. Latin is a really old language. A lot of English words come Latin. 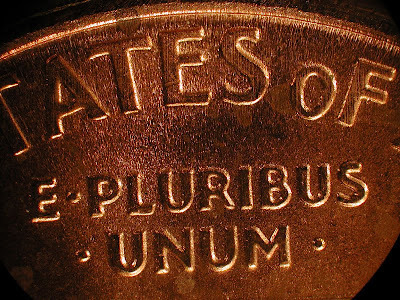 So “E Pluribus Unum” means “out of many one”. It means that America is made of many different people but it’s one country.